We are having some fun over on our Family, Faith and Fridays Facebook page! Tome to get ready for a new school year! Just comment sold, pay via pay pal, and I will drop it in the mail tomorrow. (US only, please!) Easy peasy shopping. Prices do include shipping! Not going to lie- it was EASY to say yes, please to Drive Thru History®'s new DVD series Drive Thru History® – “The Gospels”. We are a history buff family who likes watching videos together and hey, who doesn't love Dave Stotts? Don't know who he is? Dave is a big wig in production and video media, working behind the scenes as editor of numerous video productions. He now works with ColdWater Media in front of the camera in their Drive Thru History Series. He is a master story teller with a sense of adventure that draws you in and brings to life whatever historical event he is telling you about. That, combined with his quirky humor, tends to entertain the whole family, making you forget you are getting a history lesson. In this latest DVD series, "The Gospels", Dave and his crew traveled to over 50 ancient sites in Israel in an old, but trusty Land Rover, to bring the story of Jesus alive. Taking accounts from the first four books of the New Testament, Matthew, Mark, Luke, and John, Dave walks you through the birth, life, death, and resurrection of Jesus in a very factual way, citing not only scripture but other ancient writings and history accounts as well. Included in the set is also a 118 page study guide. The study guide begins with a key scripture and summary for each episode. The following pages have additional pictures from Dave's journeys, additional Bible readings, and 5 study questions for you to use with your family or even in a group setting. A small section called Side Roads also gives more historical information. The timing was such that when these first arrived at our doorstep we were headed out on a long road trip so we popped them in the car for the kids to watch. That worked for about two episodes. After that my husband and I called foul, because we actually want to SEE, not just hear, what was playing. They were that exciting! We saved the rest until we got home and have been watching them during our family movie nights, usually one to two at a time. The discussion questions are mostly "were you paying attention" comprehension type questions so we have not stuck to reading those as much. I do think those questions would be a great addition, however, if you were leading a small group through the series, to help you get the conversations flowing. What has pushed our conversations truly though have been just the videos themselves. There is so much information and especially historical facts presented that there has been no lack of discussion on our part. From Geography, to customs and traditions, we have had a lot of fun discussions. I love that "The Gospels" series is suitable for all ages. We are a family of 6, ages ranging from 9 to 47, and we ALL enjoy them. Finding videos we can all watch and enjoy together is a rare treat for us. I love that we can enjoy learning history with our our faith based world view, and that while it is presented in a very matter of fact way, it is backed with scripture after scripture. I love the these are done with such professional quality. The videography is stunning and flawless. No second rate filming here! The narrative is factual, but easy to understand and the scenery alone is enough to take your breath away. As one of my children said, it is much easier to envision a particular Bible scene in your head when you are actually looking at the very location it took place. We love Dave's humor. Let's face it, history can get tedious at times. And when talking about the life and DEATH of Jesus it can also get very heavy at times. We appreciate that Dave sprinkles in his dry humor here and there allowing for some tension relief. From when he cooks ribs in foil on his car engine to his video man correcting his pronunciation, he gets you to laugh a little and that is just plain fun. We love the accuracy. Because Drive Thru History is not about opinion, but based on historical facts, it is not easily disputed or can really be seen as controversial in my opinion. When facts are presented they are usually backed with a reference and when the Bible is quoted it always includes the scripture reference. Can you go wrong with Drive Thru History® – “The Gospels”? I think not. Whether for use in your home or for teaching a small group of any age, I think you will learn a lot, be entertained and most certainly be blessed! You can watch an episode for free by clicking here! Yep. Small and piled high with junk. As usual, I have allowed it to get completely out of hand. It is an easy place to just toss things in and not look back. It is one of the few places guests don't see so I let it slide. Often. And dresser drawers, don't even get me started. So this week- Master Closets and Dresser Drawers are on our attack list! You know the drill - take everything OUT! Trust me when I say this, it WILL make things easier in the end! Closet and drawers. It truly is the only way to really see how much you have. Time to face reality, ladies. Once everything is out, wipe down the shelves and rods and vacuum the floor in the closet and wipe out dresser drawers. Now is your chance before things go back in! And now, for the hard part! Put it back. Notice that I did NOT say put it ALL back in. Because that is not what we are going to do. Shake your head up and down to indicate you understand, please! If you will remember back with me, one of our goals is to declutter. This means we are NOT keeping extra stuff we do not need or wear. - Throw away things that are stained or torn or 100 years old. Some of you know I am looking at YOU! -Donate things that do not fit you or that you do not love! NO keeping stuff just because. Touch every piece and ask yourself, does it fit and do I love it? When you wear something, wash it and then put it on a hanger facing backwards. When a month is over, the things that are are still on front facing hangers are the things you have avoided for a month. hmmmm- do you need them? Or try this- I hang all my shirts together in a row and then each day choose the one on the far left to wear. From there I pair it with whatever else I need and off I go. If I find myself skipping the same shirt over and over again I take that as a clue that it is not something I like or need and should pass on to someone else. This also helps me avoid wearing the same few things over and over again that I love. Because, yes, I would do that. Really evaluate what you have and what you NEED. There are plenty of good sites out there that can help you decide what looks good on you (and what does not) and how to mix and match with fewer things. I have found that when I keep my clothes to a few colors, it all goes together AND it keeps me from buying more. My oldest does something similar and has just started a capsule wardrobe which she has blogged about for me! One thing I have learned from all the traveling we do is that you can create many different outfits with few pieces if you plan well. Let's commit to stop buying random stuff just because it is cute or on sale! If you don't need it, don't buy it! Hang your dress clothes separately. It makes Sunday mornings and special occasions easier to get ready for when those clothes are separate. You can do this! I know it is hard to let go of things, but let's not make things an idol. Clothes especially. They simply cover our bodies and do not make us who we are. This is also the time to go through scarves, shoes and jewelry if this is where those things are housed. -I also love having my jewelry in my closet so it is easy to match to an outfit on the way out the door. I recently pared down my jewelry to only the pieces I love. Hard, but necessary. I use a spool holder for ease. Trust me, this is pared down! -Shoes! Let's talk shoes for a minute. How many pairs do you own? Actually, how many pairs can you wear at once? That is a better question. I love shoes as much as the next person, maybe not as much as my mom, but I realized that shoes were one of the areas that was going to get the best of me if I was not very careful. So I donated a lot of pairs last year! I realized I only wore the same pair of boots all winter anyway, and because of a hip and leg problem (steps are a very dangerous thing!) I wear almost the same two pairs of summer shoes all summer long. All the others, except for two pairs of church shoes and two very dressy pairs, were extra. As in not needed! -Bags and pocketbooks. Now we are getting personal. If you know me well, you know I have a thing for both. Don't know why, but I cannot seem to pass up either. I love changing purses with the seasons and I can find any excuse to have a new bag. In my defense, I use them. But, again, not all are necessary (did I really say that? ), and I did get rid of a few. Ok, 2 more this season, it is a work in progress, I promise! YOU DID IT! Stand back and look at what your hard work accomplished! And don't panic- you have a week to finish this project! Thanks for working hard and having fun with us! 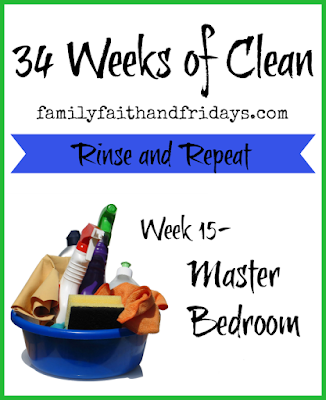 Keep cleaning and organizing- you CAN do it! Day 5 of our 5 Days of Homeschool Blog Hop is here! It has been an exhausting week, but so worth it. If you have not had time to explore the linkys this week, I would encourage you to spend this weekend catching up- there are some great posts out there that I KNOW will bless your life. I do, after all, work with an amazing group of women! For our last day, we are going to look ahead a bit. There is, after all, a light at the end of the tunnel. Although for some of us the tunnel seems pretty long. 27 years total long. Excuse me while I go hyperventilate. Ok, here we go. What do we do when that light is drawing near? Be thankful! No, not that you are almost child free, but that you have been blessed with this experience. I often tell people I cannot imagine my kids not being home all day. Although every day has not been easy, I consider it a huge blessing to have the opportunity to teach my kids at home. We have learned together, cried together, and rejoiced together. I am thankful. Reach out to others! Everyday there are people who are just beginning this homeschool journey. They have a million questions and are looking for answers. Lots of answers. You, veteran mom, have a lot of knowledge. You have learned and grown a lot in those years and you have something valuable to offer. Offer it! Bless others! I bet you have a lot of curriculum sitting around. I know I do even now and I still have 8 years to go! Loan it out, or even sell it. No need for it to gather dust when someone else can be using it. It really is one of my greatest joys to loan out curriculum we are not currently using. Develop you! I don't know about you, but I chose to put myself and a lot of what made me me to the side when I started homeschooling. It was just what I needed to do so I could focus on the task at hand with fewer outside distractions. But soon (well, in 8 years), I will be back to just me in the house during the day. While my hubby is at work, I would like to do more than sit around the house and twiddle my thumbs. Whether it is professional development or just returning to old hobbies, be looking for things to do with your time that will bring you joy. So that light at the end of the tunnel you see? Embrace it. Celebrate it! Look to the future with joy and anticipation. Day 4 of our Homeschool Review Crew 5 days of Homeschool Blog Hop is here! I hope you all have had time to explore the linky as there are some great writers out there with some great words of wisdom. I love learning new things- trust me, even after 19 years of teaching there are still new things to learn! Yep! I can hardly believe it some days. You would think by now I would be facing each day with complete confidence and NO doubts! Yes, even after 19 years I still swim in doubts some days. Am I teaching them at ALL? Could they learn more from someone else? Am I preparing them for the future? Are they even listening to me? Should they go to public school? Of course, most of those questions are rooted in fear and should have no place in my thought process. But yet, they pop up from time to time. Even after 19 years. So what is a homeschool mom to do? Where can we go to get support and encouragement when we need it? Our Spouse- Hopefully you entered into this as a team. You should have. And if not with a spouse then at least with some support. Knowing what you are doing, and more importantly, why you are doing it, is vital. Having someone on your team who can remind you of those things is also vital. On the days that are my hardest, just sitting down with my husband to talk about why we first made the decision to homeschool is a huge lift for me. Our Friends- Here again is where team is so important. Walking through life with others who are doing the same things we are just makes life easier. Knowing we are not the only ones struggling, that we have friends in the same boat, just helps, right? If you do not have friends doing what you are doing, find some. Whether through your local homeschool group or friends in your neighborhood, find someone that you can encourage and can encourage you. 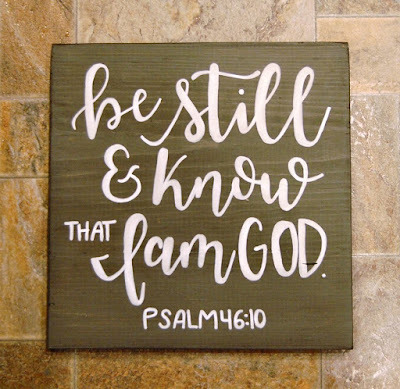 The Word- Around our home we often say to our kids "what does the Bible say?" I think it is a good question to ask ourselves as well. When we fear- what does the Bible say? "Do not fear for I am with you." Isaiah 41:10 When we worry about the future, what does the Bible say? "Do not worry about tomorrow, for tomorrow will worry about itself." Matthew 6:34 When we wonder if we know what to teach- what does the Bible say? "Teach them to your children, talking about them when you sit at home and when you walk along the road, when you lie down and when you get up." Deut. 11:19 God has given us the truths we need, we just need to speak those truths to ourselves. All. The. Time! Is it easy? Not even close some days! But it is possible with a little help. Rely on your spouse, your friends, and most importantly, on God to get you through! Honestly, I am leery of the word SPEEDY! Seriously, in homeschooling, I have never found anything to be too speedy. Maybe it's just my kids. The idea of the guarantee that SpeedyPrep offers for your child to pass a CLEP test was too good to pass on. We have been using our 6 month course access for the past month and I feel like we, well Salem, is already well on his way to CLEP success. A CLEP exam is a test your child can take, and if passed, can offer college credit. Each test covers a specific area of study at a college level based on the College Board standards. Subjects include things like College Algebra, Biology, Foreign Languages, English and even Business. Why CLEP a college course? Quite frankly, to save time and therefore save money. Taking a CLEP tests currently costs $80. An average college class costs anywhere from $200-$600 per credit hour depending on whether you are in state or out of state. Keep in mind most college classes are 3 credit hours. You do the math- it can get expensive quickly. If your child can pass a CLEP, that is savings in your pocket and less time they have to spend in school. A win for you and a win for them! What is SpeedyPrep and how does it work? SpeedyPrep is a web based program designed to help your student study and pass a CLEP test. They offer 24 courses to choose from, but with your subscription, you are given access to all of those courses. You simply choose one and begin. The flashcard type system will ask you a fill-in-the-blank type question in which you then give your answer. Immediately you will be shown if you are correct and if not, you will be shown the correct answer and an explanation of that answer. There are also numerous video clips referenced you can watch to further your understanding of that particular subject as well as additional written explanations. You can also choose to watch the videos separately. Using the Mastery Learning approach, questions are repeated so you are exposed to them many times, allowing you to program that answer into your brain. Each time you enter a correct response a progress bar goes up in percentage. Once you have answered the question correctly a few times in the fill in the blank fashion, many questions go to a multiple choice format, much like that of an actual CLEP test. My oldest son is a high school freshman, so this review was PERFECT timing for me. I learned from past experience with his older sisters that the best time to take a CLEP test is right after your child has taken the class. At that point the subject material is still fresh in their minds. I have also seen that if your child studies, it will make a difference in their CLEP experience. Since Salem has been doing American History and happens to love the subject I knew that it was the perfect place to have him start. Because he is in his last months of the school year, he is pretty busy but we have been able to make some progress already with this program just a few nights a week. Once he is finished with school we will use the summer months to study hard and hopefully take the CLEP in July or early August. After a quick log in, Salem simply clicks on the subject he wants to study, in his case, American History, and then chooses a sub category. As each question pops up, he types in his answer, sees if he is correct, and reads the explanation. He then proceeds to the next question. He does one section at a time, and has chosen to repeat the same session many times in a row to fully master those particular questions before he moves on. What has been neat to see is his drive. When he first began it was easy to get frustrated if he did not know something. After getting a few wrong and then seeing the question come up again and him knowing the correct answer really motivated him. At that point, he became competitive with himself and pushed to remember even more. More than a few times I admit to getting pulled into the study! While I would not say my answer out loud, as we want an accurate progress bar report, I would see what I knew and if I could think of the answer before he could type it in. The game also became a motivator for him and a fun, friendly competition. Which I almost always lost, for the record! Here's one of the things I like most about this program. It is thorough. Unlike a multiple choice only practice test, the fill in the blank format forces you to really know the answer. No amount of guessing is going to cut it. That does make it harder. BUT, it also makes you know the information. And then, the better you know it, the more easily you CAN identify the answer when you encounter it on an actual CLEP test that is multiple choice. The only downfall I see of that format is spelling! Does anyone else have a child that is a poor speller? Well, beware. If you misspell the answer it will be marked incorrect. This was slightly frustrating to Salem, but he got over it knowing he would not have to spell on the actual CLEP. Hey, it's the little things. SpeedyPrep is so confident of their program they have a special guarantee. If your child meets the parameters they suggest such as be at least 16, have taken the high school level course of the subject you are studying, AND you get your progress bar to 90-100%, they guarantee your child will pass that particular CLEP test or they will refund your subscription fees. Welcome to day three of our 5 Days of Homeschooling Blog! We are so glad you joined us. It is my prayer that you will be blessed by the posts of all of those participating. They are homeschooling moms just like you who have a heart for what they do. Pull up a seat and stay a while- you might just make a new friend! Yesterday we talked about the value of breaks but today we want to talk about the heart of homeschooling- Curriculum. It's the one thing that can excite me and bring out dread all at the same time. When I see moms posting in late July about choosing new curriculum I giggle because, I admit it, I started planning a year ago. About two weeks after I have just begun the current year. Yes, I am one of those people. I love curriculum. And I have a lot to prove it! 19 years worth and counting to be exact! Unfortunately things I loved way back then are not always the best choices for the kids I am schooling now, and some things just get techno'ed out. (yes, I made that word up!) But you get the point, I have disks that won't even run on newer computers and math instruction alone has changed a lot in the past 19 years! We have to keep up in some ways! There are just some things that will never grow old. I am saving my teddy bear counters and tangrams for my grand-kids someday. Seriously! Those manipulatives are worth their weight in gold and still teach just the same. There are reading programs that have worked for us with all four kids and there are books that we will continue to read even if the cover has been taped back on for the umpteenth time. Sometimes new and shiny just doesn't matter. If you have something tried and true, keep it, use it, and appreciate it. Yes, some things are just easier to use because we have before and there is no learning curve involved. BUT... in this day and time technology can be helpful. While my first instinct is to run from all kinds of technology, I have to remember that is MY instinct, not that of my children. In addition, I would be doing them a disservice if I did not at least expose them to new things. There was a day in time where taking college classes before you were in college was unheard of. Or doing an internship at age 16. Or CLEPing college classes for credit or even taking a GAP year. But nowadays, those ideas and many more are a normal thing for students, homeschooled and public alike. There is no one set way to teach or to learn. Find what works for your family and pave the way to your child's success! We pray about our decision to homeschool every year. We do not take this decision for granted or lightly. I expect you do not either. We also do not take lightly our curriculum choices. Yes, I am blessed because my job is now working under The Old Schoolhouse Magazine with their Homeschool Review Crew, and because of that I see a lot of curriculum go across my desk. But there are other ways for you to do the same. Attend a conference, browse homechool magazines, or find veteran homeschoolers like me who love to have the opportunity to share what we have! If you see something works better than others don't be afraid to change. Even if it is in the middle of the year. Don't waste your time on what doesn't work- it's not worth it. Re-evaluate your needs and move on. Welcome back to day two of our 5 Days of Homeschooling Blog Hop. If you missed yesterday's introduction, we would love for you to take a minute to catch up! Today, let's chat for a minute or two about taking breaks. I am ALL about breaks. I mean, after 19 years I deserve a break, right? Let's start with what a break is. One definition I found was "A pause in work or during an activity." The pause part kind of got me hung up for a while, and I had to really think about that wording. I was going to talk to you about BIG breaks, not just a pause. It also got me thinking that there are several kinds of breaks, and we homeschooling moms probably need them all at one time or another. HOURLY BREAKS- You know, those times that tensions are high, tears are bound to happen at any moment (yours, not theirs), and mom just needs to cry uncle for a few minutes. Sometimes we just need to take a few minutes to stop and regroup. Through the years I have found those are the times I need to push back from the table, maybe grab a hand of a little one and pray. When we get frustrated, when things don't go the way the lesson plan shows, or when kids just are not behaving the way we think they should, the best break we can have is a quick time of prayer. Not only does it re-position our heart, but it is a good visual reminder to our kids that we are human and that we too need God and His guidance. MONTHLY BREAKS- I think public school teacher conferences are ingeniously and strategically placed in between holidays! Have you ever noticed they seem to automatically have at least a day or two off each month for something? That is just smart planning. We all need time to rest, play, and recharge! Over the past few years we adopted a Sabbath Week Schooling Schedule in which we aim to school for 6 weeks and then take a week off. Sometimes I have to fudge the exact timing with holidays or a college child's plans, but the point is, we do take some time off every so often to rest and lesson plan. The kids need it and I need it. YEARLY BREAKS- Sometimes we just need to celebrate and enjoy family. However that looks to you. Whether it is a stay-cation with popcorn and movie nights or a lavish vacation to a deserted island (please sign me up) your family needs you! They need one-on-one parenting time, love, and attention outside of tests and quizzes. Years ago we made the decision to save money each month towards a yearly family vacation. Best. Decision. Ever! Some years are quieter than others, but all have been opportunities to make memories and to rest from the pressures of school and everyday life. No matter what kind of break you need today, rest assured they are all needed at some point. The opportunity to come back and start fresh, whether after a minute of prayer, a week to lesson plan, or a time to just relax and have some fun, is an opportunity worth taking! Go ahead, give yourself a break! Welcome to day 1 of the Homeschool Review Crew's 5 Days of Homeschool Blog Hop which will run all this week! This year the sky is the limit with everyone's chosen subjects so make sure you explore the linky, learn some new things, make some new friends, and just have some fun! 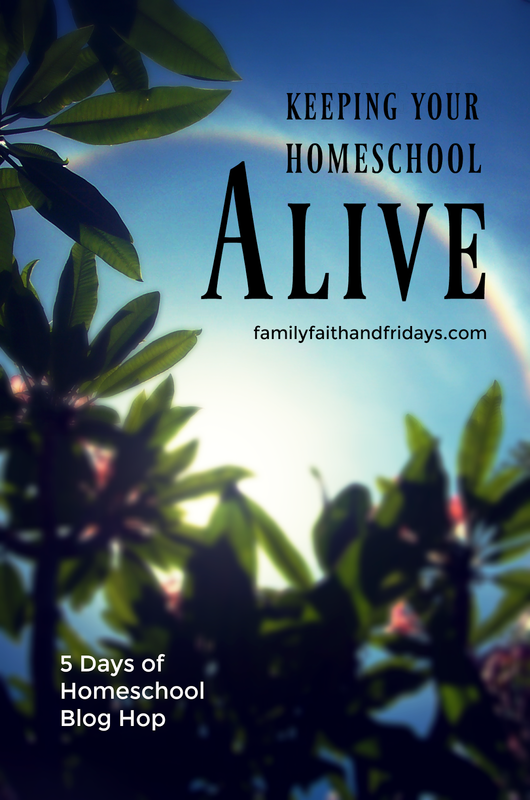 As for me- this week we are talking about Keeping Your Homeschool Alive. Before we get started, let's quickly talk about what a homeschool veteran looks like. Some days my hair and makeup are perfect (well as perfect as I can get) and there is a smile on my face! Some days I have my pajamas on til noon and I look like something the dogs drug in! Some days confidence in this journey pours out of me and I am ready to conquer even the hardest college applications! Some days doubt and worry set in and I wonder if the kids are even learning something. Some days I wish they were all preschoolers again working with the teddy bear counters and playdough. Some days I cannot wait to be done homeschooling. Some days we start at 9 and end at 3 completing all of our daily assignments on time. Some days we are lucky if we start by noon and get anything done. You see, the point is, we are not too different. Yes, I have been homeschooling for almost two decades (excuse me while I go sit down), but I am much like you. I have learned a lot of things, but by no means have all the answers. Some days are good. Some days are not. But, by the grace of God, a lot of prayer, and a lot of determination, we forge ahead. I have a 23 year old daughter who graduated with a BS in Bible who runs her own sewing business. My second daughter is three weeks from finishing her first year in college, which is actually her sophomore year. I have a son that is finishing up his freshman year and starting to explore college possibilities. And I have a 9 year old, yes you read that correctly, that is a 4th grader and he says he is living with me forever. Oh boy! So this week as we talk about Keeping Your Homeschool Alive, remember- we are more alike than not. And we are in this journey together! Ahhhhhhhhhhhhh, the bedroom. A place of rest and relaxation. And beautiful sleep. Yep, me neither. At least not most of the time. Most of the time it is a catch all. A place to pile laundry waiting to be folded. A place to throw the extras when unexpected company comes. A place of piled up books and stuff to be filed and on and on. So today is the day. Well, luckily for you, this WEEK is the week. Yes, you have a week to make a transformation. This week- the Master Bedroom. First off- we are concentrating on just the bedroom proper. Stay out of the closet and drawers for now. Yes, I am talking to a few specific people, I will not name names yet, that I KNOW like to get ahead. Stop it! You are making the rest of us look bad. So stick to the assignment at hand. Please keep in mind- this is that once a year, deep cleaning project. Let's go! Strip the bed linens and put them in the wash. ALL of them. Comforters and bedskirts as well. Trust me, they are dirty. Throw pillows? Them too! Mattress pads? Yep! Take this time to replace anything that is old and ragged. While those things are washing, take everything off flat surfaces and take them OUT OF THE ROOM! Seriously, go on and do it. I will wait. Now, with surfaces bare, dust. No feather dusting this time, deep clean dusting only. Tops, sides and more! Before you put anything back, pull furniture away from walls and hit those baseboards! Vacuum around the edges of the carpet. Now put furniture back- this is your chance to do some quick rearranging if your husband is not looking- I mean if your husband agrees! ;) My husband and I were really missing a chair in our room, so we moved one back in. He loves when I rearrange furniture for the third time in a year. NOT! NOW, put your "stuff" back, but aim to only bring back half. REMEMBER, WE ARE DECLUTTERING, TOO! Is it needed? Do you love it? Is it time to give it to someone else to enjoy? 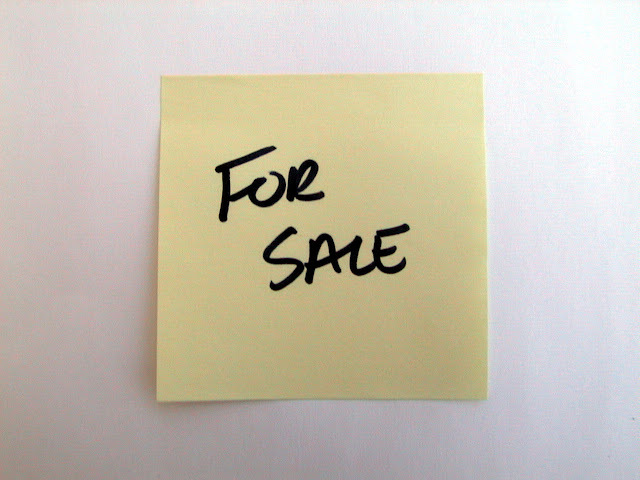 As you replace each item (after much thought, much thought being the operative word), make sure it is also wiped down. Don't forget those plants and baskets. They collect a lot of dust- ask me how I know! A word about nightstands. Why do they seem to be a second (or third) junk drawer sort of area? Honestly, keeping mine straightened is one of my biggest battles. I kid you not. There is always a stack of books waiting to get read, with a few in progress. Add to that chap-stick, emergency weather radio, pens (in case I want to take notes in said stack of books), hair bands, a tea cup, and on and on and on. I added a basket to hold those things in hope of it at least having a semblance of tidiness. Look up, try not to cry, and clean off those ceiling fans and light fixtures and corners of your room. Sometimes it is best to start with a vacuum, and since my daughter is the vacuum queen she does that job for me. Wipe down light switches and door knobs and door frames, both sides please. Wipe off window frames and windows. If you have mini blinds, I am sorry. Those get done too. If you have curtains, into the washer they go. If you are simply too afraid to wash them, at the very least, take them down, pop them into the dryer on air dry and give them a few minutes. You will be surprised at the difference even that will make, I promise! Remake your bed. I admit, I did buy a new bedspread and some throw pillows to spruce ours up. I liked the current quilt we were using, but my hubby did not love it because it was so heavy. (I have a thing with flannel quilts) Here's hoping this one works better. Lastly, finish vacuuming and you are done. Seriously, you are done! That is a lot of work. Reward yourself with a cup of tea, a chocolate treat and a good book. Oh, and a good night's sleep, of course! Don't forget we would love for you to leave us a picture on our Family, Faith and Fridays facebook page. We're all in this together and sharing is half the fun! Plus for those that share every week, you are entered into a drawing for some prizes from some great friends of mine and yours truly! 621 Gifts is going to give one of you a $50 voucher to put towards one of their gift baskets! You get to choose the contents but I can highly recommend their yummy beef sticks! In addition, Redeemed is donating one of their beautiful handmade signs. I have several hanging in my house and love them! See 'ya back next week! Until then, happy cleaning! Often Art is overlooked in our homeschooling day. Let's face it, sometimes it is all I can do to get reading, writing, and arithmetic in. Then don't forget geography, handwriting, science, grammar and- well you get the idea. Fun things like art don't often happen. That's just our reality. But when we had the opportunity to review Creating a Masterpiece's Monthly Plan, I was thrilled. Have you heard of them? I had! You see, art teacher Sharon Hofer lives in my area and is known and loved throughout the Omaha area. Well, she is known and loved in a lot more places but around here, kids actually get to take lessons from her in person. How cool is that? I know a few of the kiddos who have been blessed by her classroom instruction and I have seen their art. Yes, those amazing pictures you see on Sharon's website of students' work are real. And they are indeed amazing. So I was intrigued to see what we could do. Creating A Masterpiece is an online subscription that includes choices of monthly or annual subscriptions that give you access to all levels of projects, or a Individual Level Plan that will give you access to one level for a year. If you are teaching a group of more than 5 kids outside of your immediate family, a group plan is also available. Taught by Master Artist Sharon Hofer, there are over 144 Art projects using different art mediums and teaching various art skills. Though beginner projects can be completed in one lesson, other levels range from three to seven lessons. Full lessons can take up to an hour to complete but are also broken down in shorter sections for ease of use. There are currently 5 levels and an additional section called Art in History that covers historical periods of time in History. Each level has multiple projects that span a gamete of art types such as acrylic paints, ink, pastels, charcoal, watercolors, block printing, sculpture, and even silk dyeing. Each lesson comes with a complete supply list, as well as helpful tips and lesson highlights. We happen to be gathering with a small group of homeschoolers on Wednesdays to just have some fun. Many days are park days but for a couple of weeks we headed to a friend's house to try out Sharon's program. Because our group was rather large we split the kids into two groups- the younger ones went downstairs to two big tables and the older kiddos stayed upstairs. Hind sight, this is a great plan, as the big kids were able to work a little faster and we were able to take more breaks with the littles to allow them to catch up or just get some wiggles out. I had allowed one of our older kids who has worked with Sharon in person to choose our first project since she is familiar with the program. She chose the Dragonfly ink drawling with was great since supplies are limited to art paper, pencils and permanent pens such as magna pens or sharpies. We began with watching the first 2 of 5 lessons. In this art project those lessons are broken into smaller sections as well which allow for a good stopping point for kids to catch up with Sharon's teaching. She is a Master, after all! The first lessons consisted of some basic instructions as Sharon showed the kids step by step instructions while she drew on a white board. The kids did the initial dragonfly drawing with some minor details. Even at this stage, it was neat to see how each kid took a different spin on the directions and made the dragon fly personal. The following week we met, we picked up where we left off. At this point in the videos, Sharon moved to paper so the kids could really get a more detailed look at what she was doing. Some of our kiddos continued to work on what they had started the previous week while others chose to start again, this time on more substantial art paper. These lessons included more fine detail work, as well as using the permanent pens to make dots over all of their pencil drawings. The last steps included adding a detail to personalize their drawings like blades of grass and then erasing all of the visible pencil lines. We worked about two hours the first week and about 1 1/2 hours the second week. This included time to pause the videos and talk about a few things and time to allow the kids to work on their own for a while. There are a lot of small details in the dragonflies' wings that took a while, especially for the older kids who are more detail oriented. Neat program! I already knew I liked what I had seen from Sharon's students, but I am so glad we got to try this ourselves. Sharon is enthusiastic about what she does and that really shines through in her teaching. She give clear instructions and works at a nice, relaxing pace. Keep in mind, our project was a level 2 project and we had kids from 6-16 trying it out. Obviously our kids are not all future Picasso's but they all had fun trying. I think it is important to remind kids that God created us all with different talents and our art will all be different because of that. Yes, some of our kids have amazing talent and it will show in their art. Others maybe not so much, but the discipline they learn in trying something new is invaluable in my opinion. Plus, they may surprise you and become a budding artist after all! 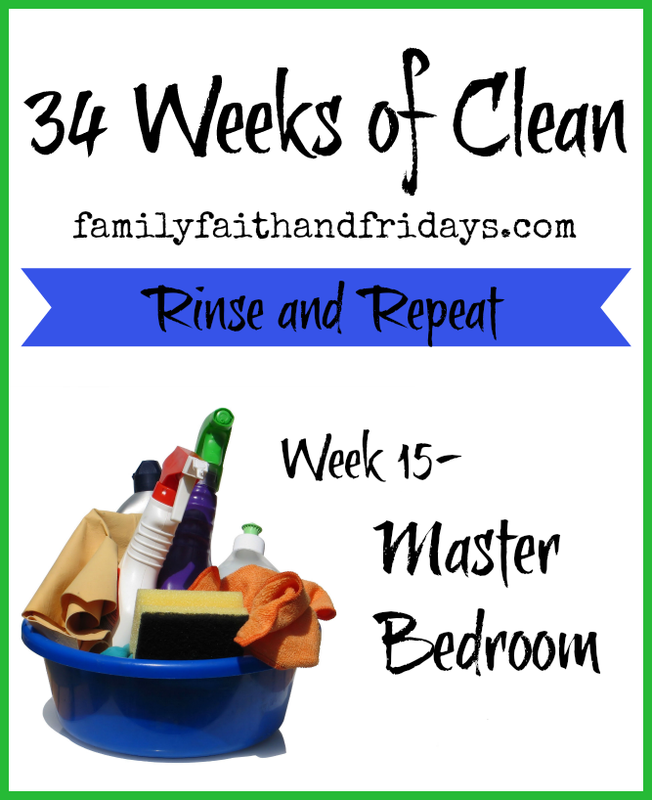 We are excited to begin using this program with my 9 and 14 year old on a weekly basis. There is just so much to learn and we are eager to try a different art medium- my vote is watercolors! I love that I can just log in online and let Sharon do the teaching. It takes the pressure off mom and teaches them more than I could ever think about teaching, all from the comfort of my house. If you are interested in what Creating a Masterpiece has to offer, I would encourage you to try the free sample project! Have fun and get ready to be creative!